Luxury Crepe, tailored jumpsuit with slim leg fit. 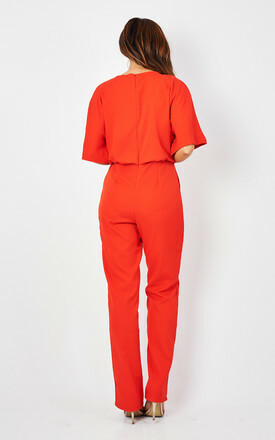 The striking red colour makes this jumpsuit a key summer piece for any occasion. Cloves and Lace and proud to be designed in the UK.